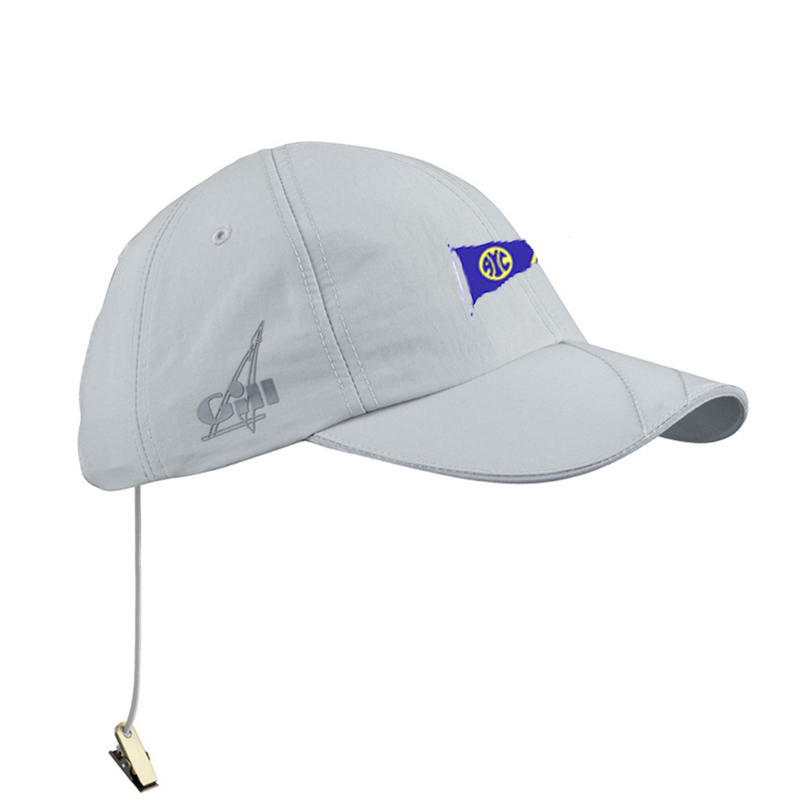 This cap has the Avalon Yacht Club embroidered on the front. <?xml:namespace prefix = "o" ns = "urn:schemas-microsoft-com:office:office" />This low-profile cap with close-fitting design and elasticized Velcro adjustment ensure a secure fit. The cap also features a retainer cord to prevent loss overboard.